One of the biggest issues people suffering from toenail fungus face is discoloration of the nails. There are multiple symptoms associated with a fungal infection, including odor, brittleness, and thickening of the nail. But, the most noticeable is usually the change in color that can take place underneath the nail. A clarifying solution like Xenna NonyX Nail Gel is designed to remove that discoloration. Multiple anti-fungal treatments attack the infection immediately upon use. While these are important, since toenail fungus doesn’t go away on its own, they can often ignore the unsightly symptoms in the process. Xenna NonyX Nail Gel is a smart solution to fight back against the effects of fungus, and what it can do to the appearance and overall health of your nails. It works to break down and get rid of keratin debris and allows your nails to have a better chance at a full, healthy restoration. But, does it work as well as other toenail fungus treatment options? It takes a unique approach to treating fungus, without some of the typical ingredients found in competitors’ products. If you’ve been dealing with a fungal infection for too long, and nothing has worked to get rid of it, you might be interested in giving this clarifying solution a try. You should CLICK HERE to Read Xenna NonyX Nail Gel Amazon.com Customer Reviews & Find Out the Price! 1.1 What Does Xenna NonyX Nail Gel Do? 1.3 How Should It Be Applied? 1.4 Is It Safe to Use? 1.5 Are There Additional Benefits? 3 Will Xenna NonyX Fungal Nail Gel Get Rid of Toenail Fungus? This article will focus on breaking down the most notable features of Xenna NonyX Nail Gel. We will answer a few common questions, and in the process help you determine if it’s the right treatment for a fungal infection. 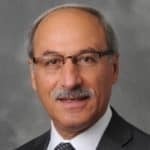 We will also touch on some of the advantages and disadvantages of the product, and how it can help to clear up fungus differently than some of its top competitors. What Does Xenna NonyX Nail Gel Do? The Xenna NonyX gel helps to remove a buildup of keratin debris from underneath the toenail. Keratin is normal and necessary for healthy nails. But, it can also become a problem when a buildup occurs due to fungus. When a fungus infects the toenail, it can destroy keratin inside the cells. Once a certain amount of keratin has been destroyed, it simply stays there, creating a buildup of debris. This occurs because the fungus breaks down the structure of the toenail. Keratin debris causes discoloration underneath the nail. It usually starts at the edges of the nail, but when left untreated can continue to build up and create more discolored spots. The debris will usually be a yellow or white color, and may even assist in making your toenail thick or hard. If the debris builds up without treatment over time, it could even cause the nail to start lifting away from the nail bed. Not only can this be extremely painful, but it opens you up to additional possible infection risks. Xenna NonyX gel helps to clear out keratin debris, exfoliating it from underneath the nail. Without a buildup of keratin, the fungus has less to ‘feed’ on so it’s unable to do as much damage. The key ingredient in this gel is ethanoic acid (9.75%). Ethanoic acid is commonly known as vinegar. However, the concentration within this formula is much stronger than typical household distilled vinegar. It works to break down the pieces of debris underneath the nail quickly, to clear it away. The concentration of the acid is much stronger. Common distilled vinegar won’t work as quickly, or as effectively. The viscosity of the product adds to its power. Because it’s a gel and not a liquid, it has staying power. The gel adheres to the infection and works to penetrate underneath the nail to get rid of debris. Liquid solutions can easily get washed away, and not have enough time to sink into the fungus to get better results. Using Xenna NonyX gel is easy, and should be done up to two times each day for best results. Use the following steps to apply it correctly. Make sure the nail and surrounding skin are clean. It’s best to apply the gel after bathing or showering. Additionally, roughening up the surface of your nail(s) once a week or so will help the gel to stick more securely, giving it more time to penetrate under the nail bed. Apply the gel with a gentle squeezing motion to the nail’s surface, using the included applicator tip. Be sure not to touch the tip directly to the nail. If possible, squeeze the gel underneath the nail as well, so it has a better chance of penetrating the nail bed and attacking the keratin build up. Allow gel to dry before putting on socks or shoes. After 3-4 weeks of consistent application, use a clean manicure tool to scrape away softened keratin debris from underneath the nail gently. Never dig underneath for debris that has not yet come loose, or does not easily come out. Repeat the scraping process weekly, making sure to clean the manicure tool after each use. If you’re unsure as to which manicure tool to use, ask your podiatrist. Avoid going to a salon or having a pedicurist scrape away at your nails with tools that have been used on someone else. For an added benefit, keep your nails clean and as neatly trimmed. Toenail fungus can cause your nails to become hard, so clipping them may require a special set of toenail trimmers. You can find some of the best clippers for thick nails in this post. The NonyX nail gel is safe for almost everyone to use, including diabetics who may not be able to use other traditional treatment options. 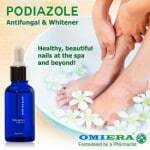 It is dermatologist-tested and recommended by podiatrists for a safe, regular application. It is also a natural product, with no parabens, sulfates, preservatives, or animal byproducts. The only real safety concern to consider is being careful in your application. A fungal infection can spread very easily. Touching the applicator tip directly to it can contaminate the whole bottle. Avoid cross-contamination, so you don’t risk spreading the infection elsewhere. The product itself will help to fight against this possibility, but take extra caution when applying. CLICK HERE to Buy This Treatment & Get Rid of Toenail Fungus Fast! Xenna has taken extra steps to ensure that their product not only works great but has extra benefits their consumers can enjoy. First, this gel is manufactured in the United States. It is never tested on animals and has gone through clinical testing with licensed dermatologists. Finally, they offer peace of mind with a money back guarantee. If the product doesn’t work for you, or you aren’t delighted with the results, the Xenna corporation will give you a full refund. Because of its uniqueness, many consumers might be hesitant to try this as a treatment. The satisfaction guarantee allows you to do so safely, so you can make sure this is the right product for reducing your fungal symptoms. There are many unique advantages to this gel treatment, and based on a large number of positive reviews, more and more people are taking notice of how well it works. But, there are some drawbacks to consider. Take a look at some of NonyX Gel’s best and worst features. While the acidic substance in this gel can help to clear up a fungal infection, it focuses more on clearing up the discoloration caused by fungus. Keratin debris can be just as serious as the infection itself if left untreated, so it’s important to be able to scrape it out. The NonyX Gel softens it enough to allow that to happen safely. 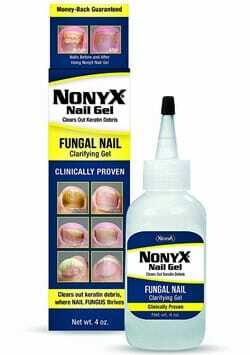 Will Xenna NonyX Fungal Nail Gel Get Rid of Toenail Fungus? If you are looking for a treatment that is safe, recommended by podiatrists, and is easy to use, this could be the perfect product for you. A toenail fungus can start out small, but when left untreated, problems like keratin debris can cause a lot of pain and unsightly issues. This gel prevents that build up from becoming a bigger problem. Not only can it help to keep your infected nail cleaner, but it will prevent a build up from pushing the nail up from the bed. When that happens, you could lose the nail altogether, or a podiatrist may have to remove it. While it may not be as strong of an antifungal agent as some of its competitors, it serves its specific purpose well. You can even use it safely with other antifungal treatments. If keratin debris, caused by a toenail fungus, has become a problem for you, using NonyX gel on a daily basis can help you to find relief. It can also cure some of the uncomfortable symptoms associated with a fungal infection. CLICK HERE to Buy Xenna NonyX Nail Gel on Amazon.com!